The other night I had a craving for Jamaican Jerk Chicken. I’ve made this recipe before and it’s so good, I just had to make it again. However, this time I decided to share it with you. This marinade will make enough for 10 to 12 chicken thighs. I always cook extra because its so good the next day (hot or cold). Mix all of the ingredients in your favorite food processor or blender. Process/blend until a smooth consistency. Divide the marinade in to 2 large Ziploc bags and place 4 to 5 pieces in each. Place in the refrigerator for at lease 12 hours. 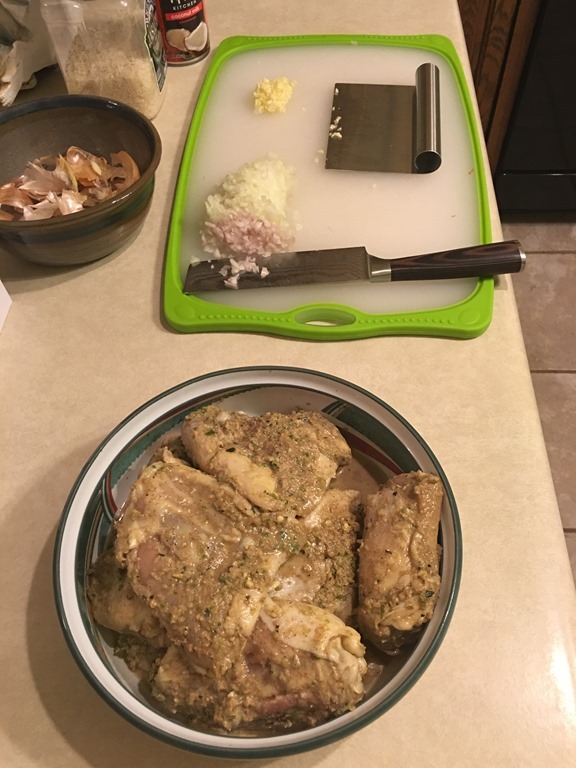 My preference is 24 hours; giving that delicious marinade a change to penetrate and tenderize the chicken. I also flip the bags, in the refrigerator, a couple times; making sure the marinade has completely coated the chicken. 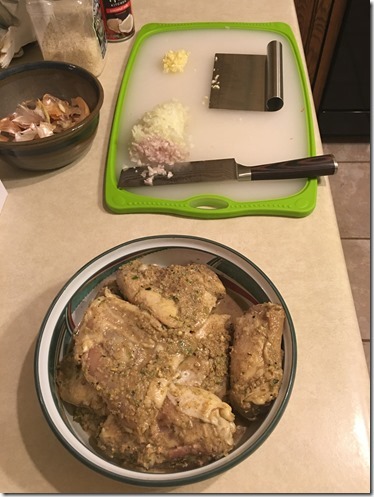 About 30 minutes before you wish to cook the chicken, take it out of the refrigerator and let it rest and come closer to room temperature. 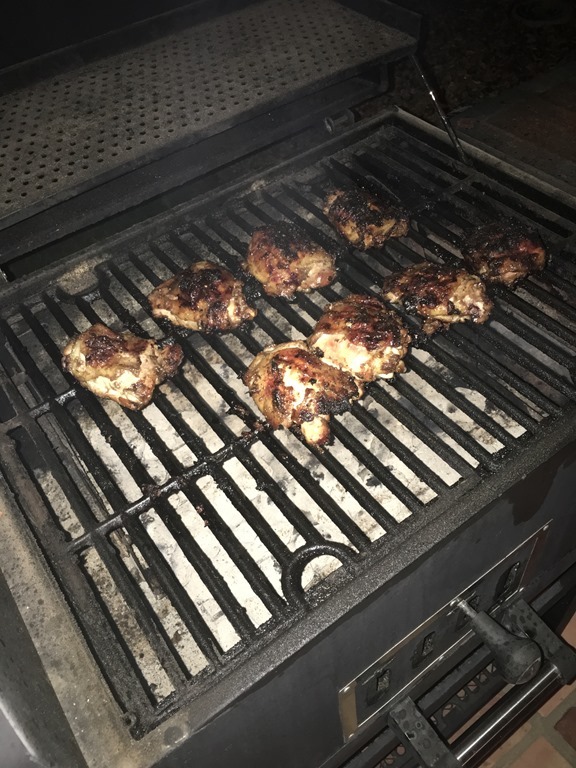 Grill is ready and so is the chicken! I prefer a charcoal grill, I just love the smoky flavor I get from it. However, you can grill these on either gas or charcoal. I keep my grill around 300 degrees. Place each piece of chicken on the grill, leaving at least 1” between them. 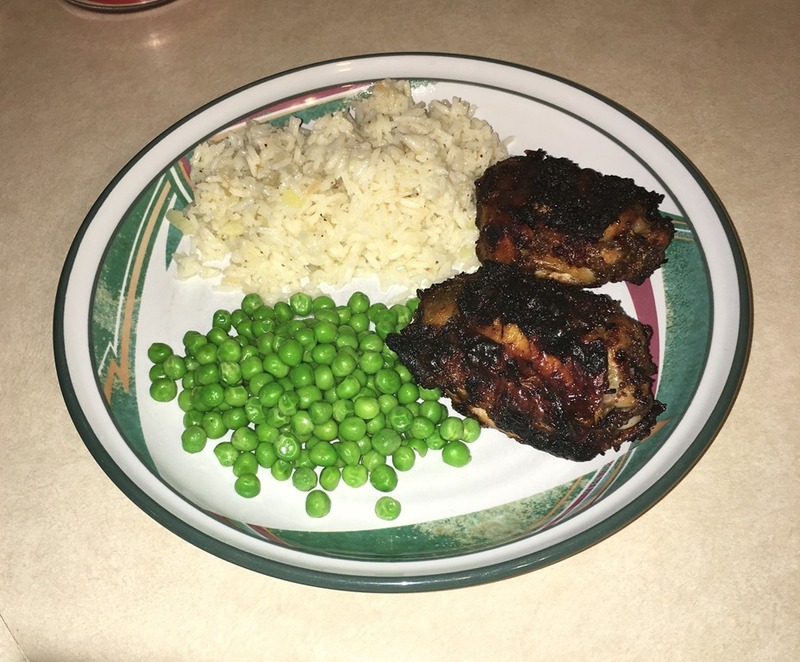 I cook the chicken for 30 to 45 minutes, flipping and rotating every 10 minutes. 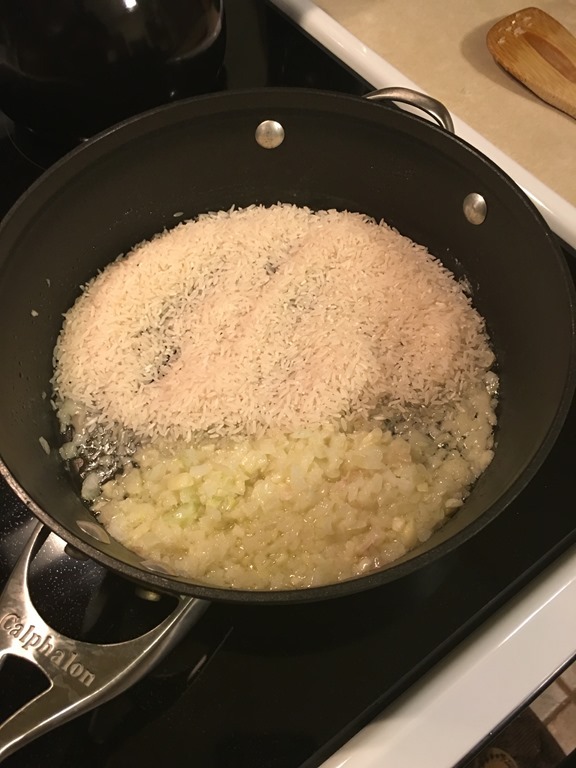 While your chicken is cooking, you can make a delicious Coconut Jasmine Rice! In a large pan, add a tablespoon of olive oil. Turn your burner on medium and toss in the onions. Let them cook for about 5 minutes. 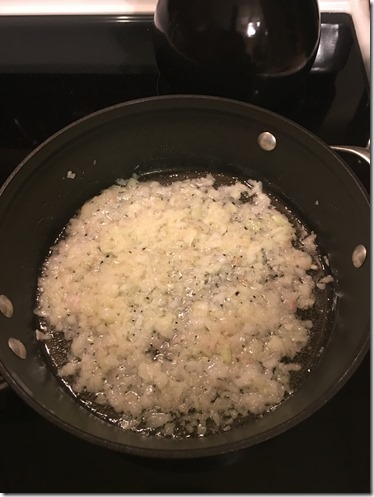 Add the garlic and cook for another 2 to 3 minutes; until soft and fragrant. 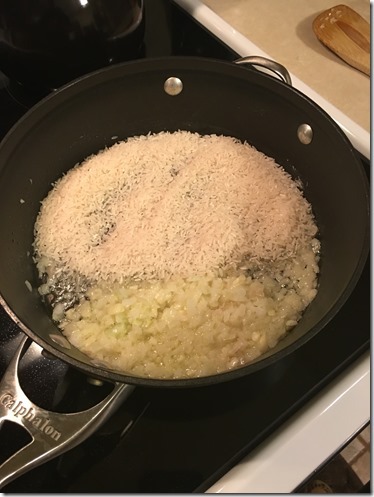 Move the onion and garlic to one side of the pan and pour the 1 cup of rice in the other side. 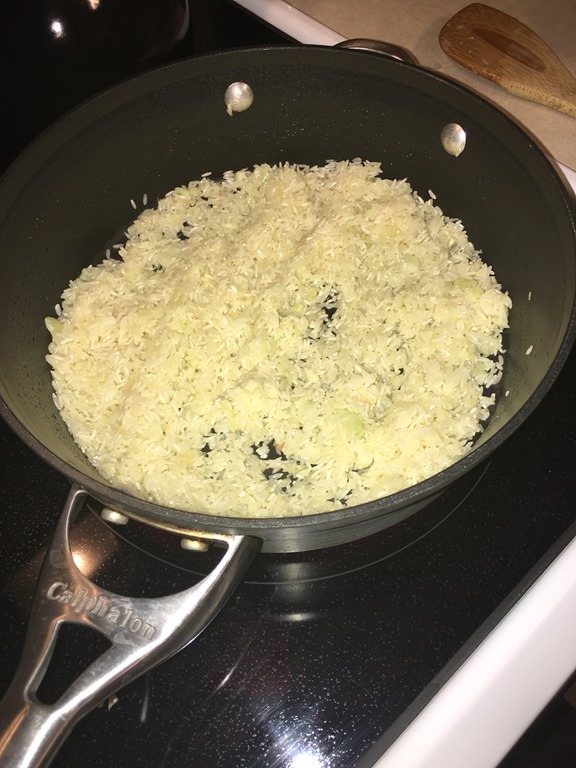 Stirring constantly, allow the rice to cook and blossom for 5 to 7 minutes. Now mix all of the ingredients together and add the coconut milk and water. 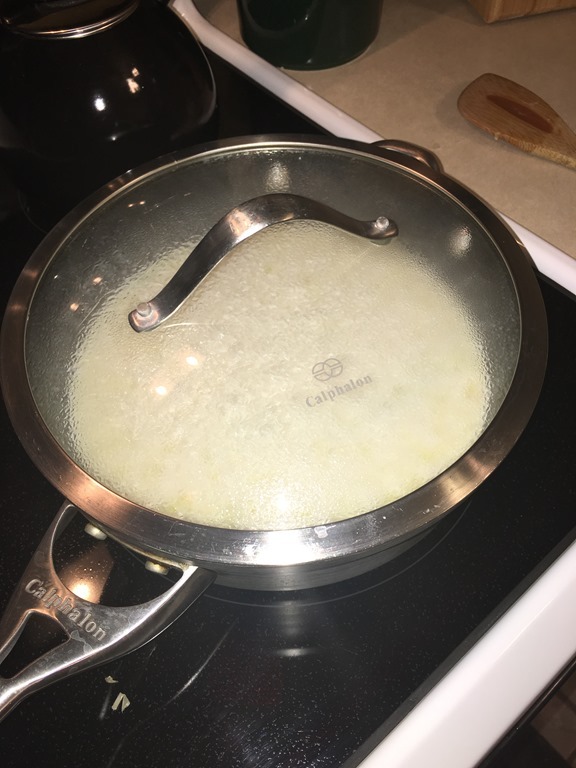 Turn the heat up to high and bring to a boil. Stir constantly. Once the rice liquid is boiling, turn your burner to low (simmer), place a lid on the pan and leave it for 20 minutes. The result will be light and fluffy Coconut Jasmine rice ~yum~. This is a simple, but very delicious, dinner. I love this dish coming off the grill and left-overs the next day. Now let’s eat.